Delivered as a unified set of configurable applications, Kinaxis RapidResponse® provides supply chain planning and analytics capabilities that create the foundation for managing multiple, interconnected supply chain management and S&OP processes. See how our product can help you manage your supply chain challenges. What capability are you looking for to address your challenge with a software solution? What is your most important goal with supply chain software? 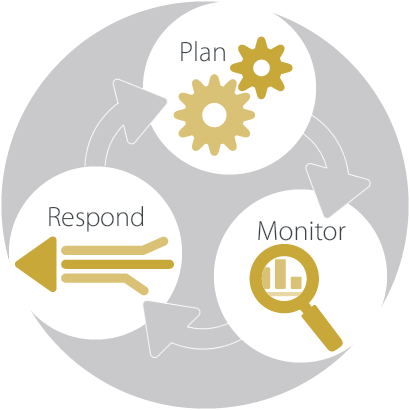 RapidResponse is uniquely architected to deliver configurable supply chain planning applications that combine information, capabilities and people for holistic coordination of an enterprise's operations. a proliferating collection of Excel spreadsheets that offer flexibility, but suffer from serious limitations in reliability, scalability, and collaboration.